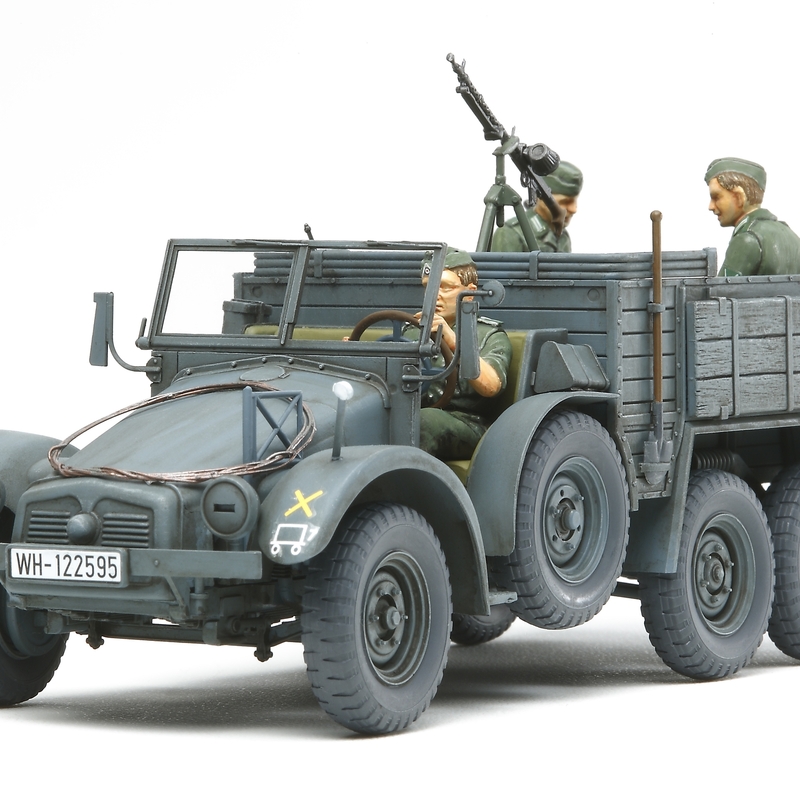 Special Feature 2 The suspension, rear cargo area, and interior have been finished in rich detail. 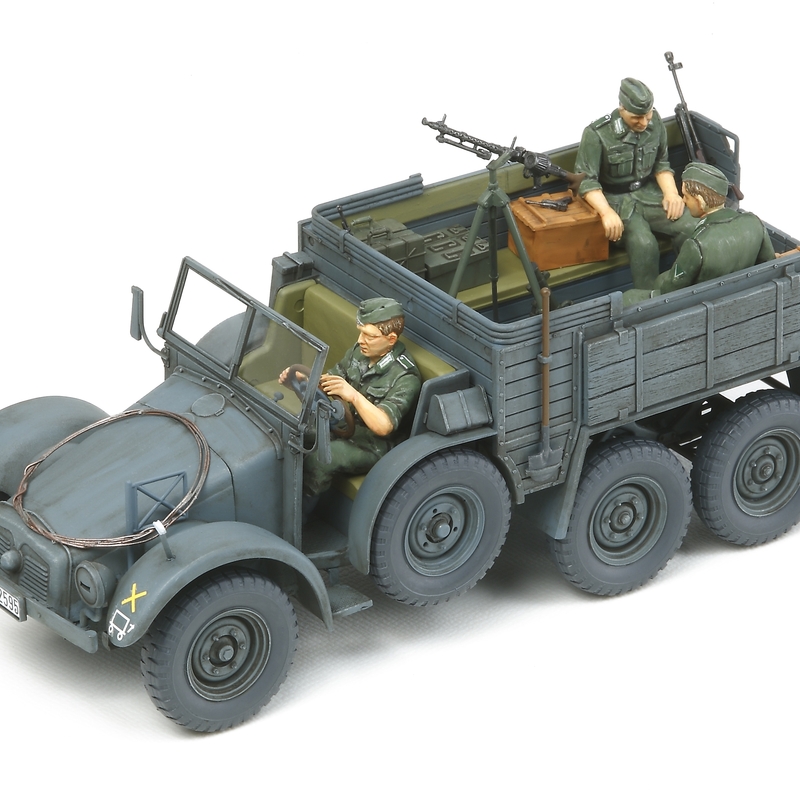 Special Feature 3 Separately molded accessory parts including MG34 with flak tripod, anti-tank rifle Pz.B.39 and an assortment of tools are included to provide the model with extra details. 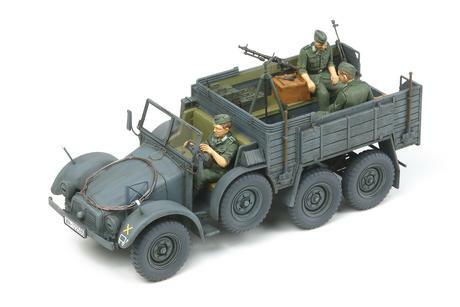 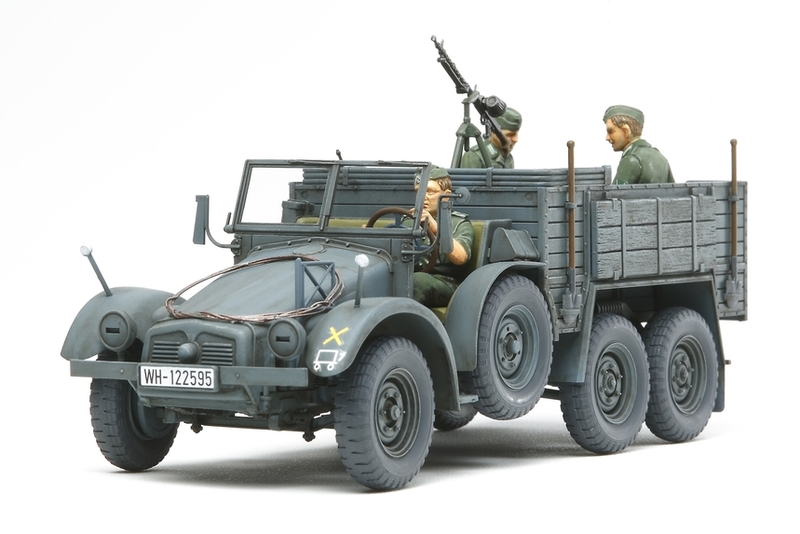 Special Feature 4 Includes 3 figures and markings to depict three different vehicles included.